For my card, I decided to ink up the Uptown Girls Felicity and Blair that hadn't seen any ink yet. The layout for my card is the current Deconstructed Sketch. I stamped the image in Versafine Onyx Black, embossed with clear embossing powder and then watercolored with Tombow Markers. A little bit of bling, some ribbon and lace and I can say "I brought on the bling". LOL!!! Upload your creations to your Member Gallery and use today's keyword LOVEFEST2013C to play along. PRIZE INFO: TWO lucky winners will be drawn from the entries to this challenge! 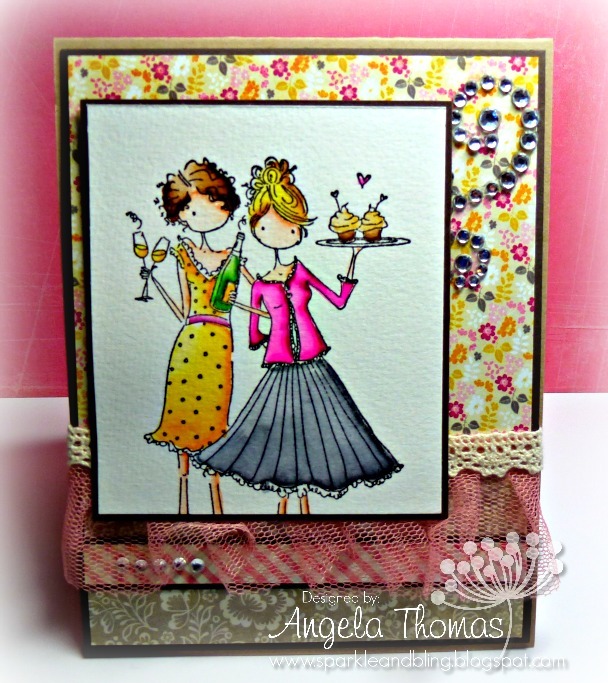 Each winner will receive a $25 voucher to spend at Stamping Bella. 1. 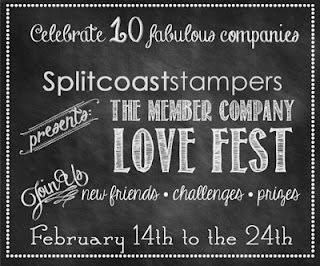 All Love Fest Challenge Entries must be uploaded to your member gallery, with the specific challenge keyword, no later than February 28th, 2013 at 12:00 Noon Central Time to be eligible for our fabulous prizes! Post a link to your entry in this thread. 2. 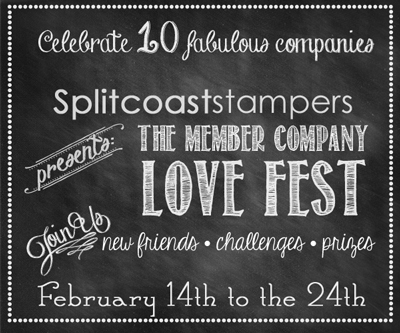 You may not combine challenges, but you are welcome to create multiple cards for each challenge, AND you may combine Love Fest challenge entries with any other Splitcoast or other challenge. 3. Please remember to put in the correct keyword when uploading your image. Copying and pasting the challenge keyword is recommended to avoid typos. I don't know what it is about your coloring but it is always so vibrant and awesome. I so enjoy your terrific coloring and cards.